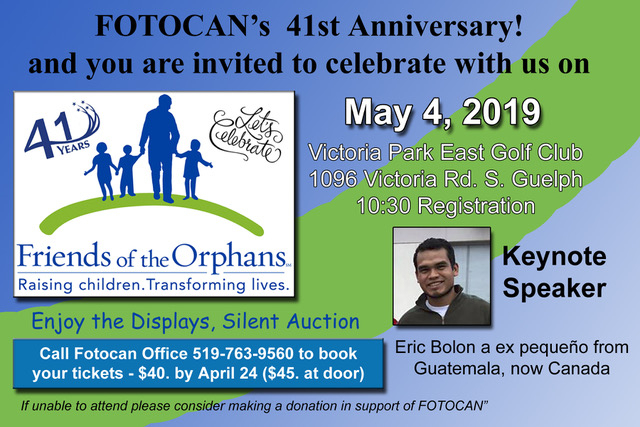 Friends of the Orphans Canada's (FOTOCAN) mission is to provide homes in which the children receive food, clothing, health care and education in a family environment based on the principles of unconditional acceptance and love, sharing, work and responsibility. We pride ourselves in our low administration fees! 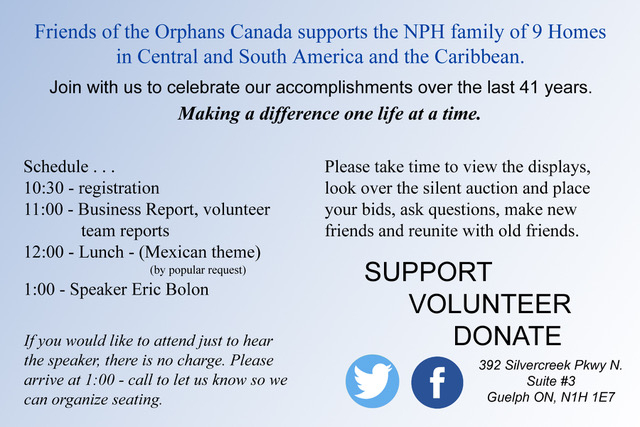 We are thankful to our wonderful volunteers and donors! Great meal! Great company! Great auction! Great time! February has come and gone with its snowy, blowy winds and bitter cold. Teams working at our homes are returning from the sunny south. SO... we're well into January, past "Blue Monday" and FOTOCAN will begin its projects this weekend! Peru, Dominican Republic, Guatemala and Mexico will be hosting Canadian student and adult teams. All teams are reportedly FULL!